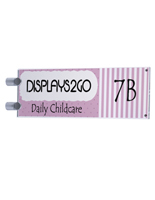 2.5" x 8.5" 3.75" x 5" 3.75" x 8" 4" x 12"
5.9375" x 9" 6" x 6" 8.5" x 11"
These direct sign brackets are a stylish DIY alternative to custom name plates or business signage. 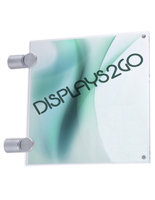 The 8.5" x 5.5" clear acrylic frames are double-sided and mount in perpendicular orientation on walls using the included two silver standoffs. 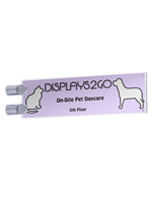 This type of high visibility sign bracket is ideal for creating directional or informational signage in business environments. 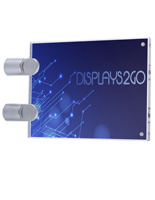 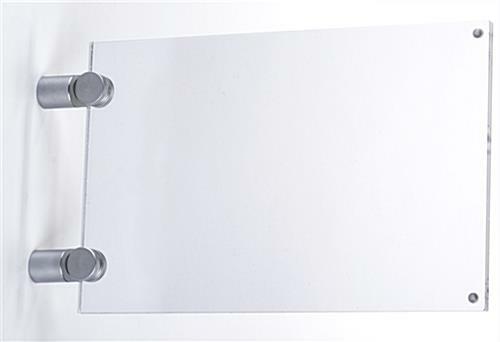 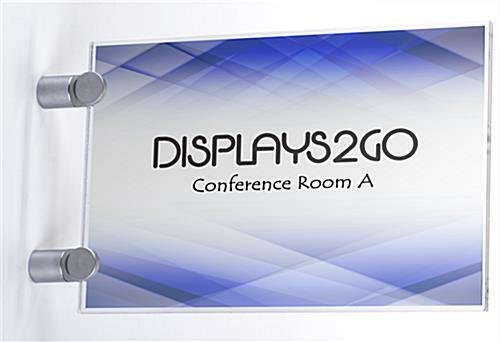 The double-sided fixtures can be used as name plates outside individual offices or conference rooms or as branded company identifiers in shared space or lobbies. 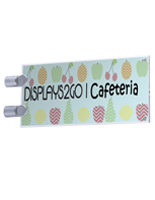 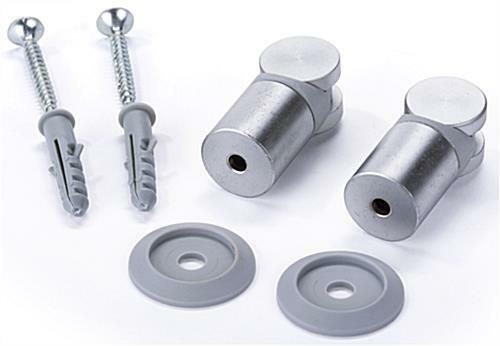 Each of the wall mount sign brackets with silver standoffs uses a magnetic closure to secure and protect graphics. 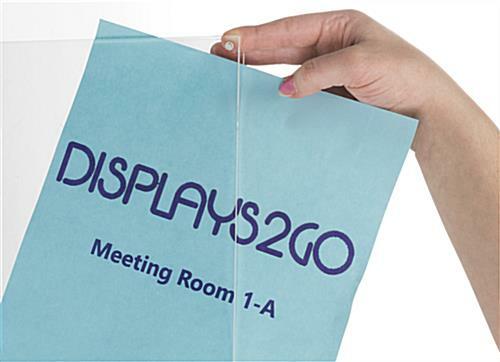 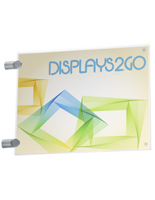 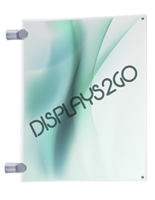 The easy-change double-sided landscape orientation frames allow signage to be changed as frequently as desired. 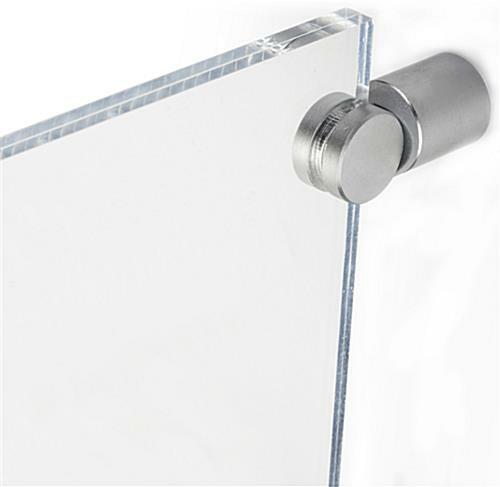 9.3" x 5.5" x 0.625"